The earwig is an interesting insect with a frightening history, albeit one that’s not 100 percent accurate. If you’ve ever seen one, you probably recall its stark appearance, marked by a dark coat of reddish-brown and large pincers in the back. But if the presence of this creepy crawler wasn’t enough to startle you, the myth that spawned its name might. Often thought to burrow into people’s ears, the earwig is stuck with a reputation it doesn’t exactly deserve – even if it still wreaks havoc in California homes and gardens. Join Lloyd Pest Control as we explore the truth behind the insect world’s most misunderstood member. The history of the earwig is full of both fact and fallacy. Although native to six continents, the pest makes up one of the smallest insect orders in Dermaptera, which comes from the Latin words for “skin” and “wing.” The reason for the name is due to the presence of small wings on many earwig species. That said, it’s a somewhat misleading title, as the earwigs that do have wings don’t fly well, and not all of them can even fly. While we’re at it, we should also debunk this common myth: No, earwigs don’t burrow into people’s ears, nor is that somewhere they ever think about going. In fact, it’s also wrongly believed by many that they lay eggs there, and sometimes go even deeper and burrow into our brains. This old wives’ tale has existed for hundreds of years, with mentions dating all the way back to the year 1000. 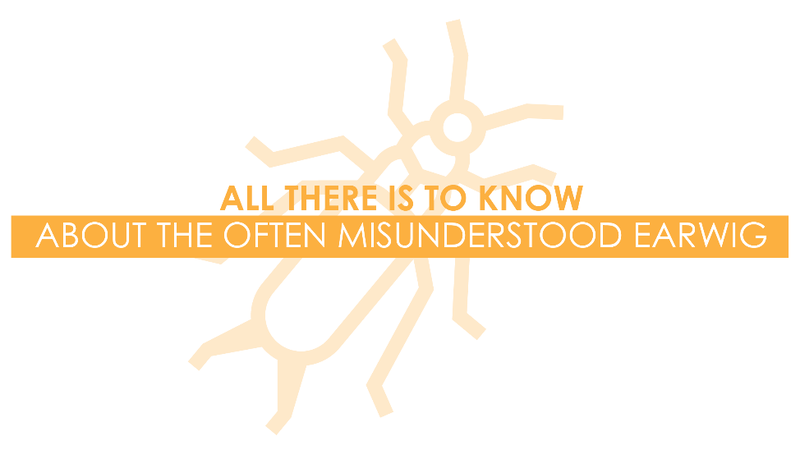 The bug’s name comes from this misconception as well. In German, it’s called ohrwurm, or “ear worm;” in Russian, it’s called ukhovertka, or “ear turner;” and in English, its name comes from the Old English word for “ear crawler.” These aren’t the most inviting of names, and they’ve only added to the fear we often have of them and their assumed potential for harm. Fortunately for us, earwigs are only pests in the sense that they can be annoying and difficult to manage. 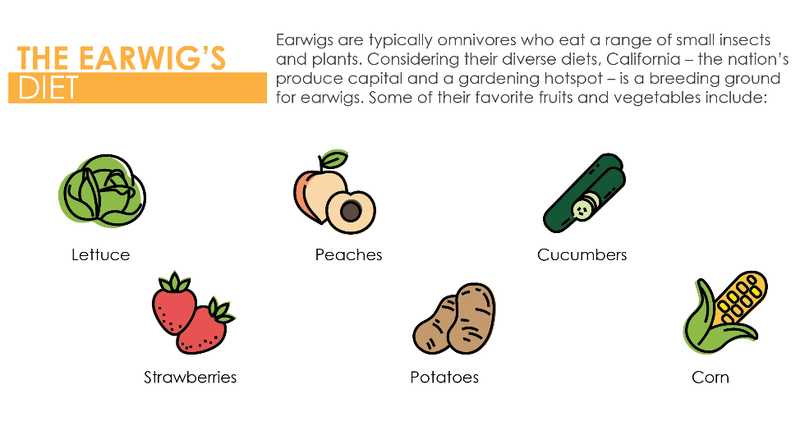 Earwigs also enjoy gardens where they can find a variety of food options. While they typically feast on the small, undesirable pests and decaying vegetation, they can be somewhat of a detriment to growing plants, too. That’s because they like to chew through fruits and vegetables, as well as plant leaves and flower petals. If garden populations get large enough, they can cause quite a bit of damage. 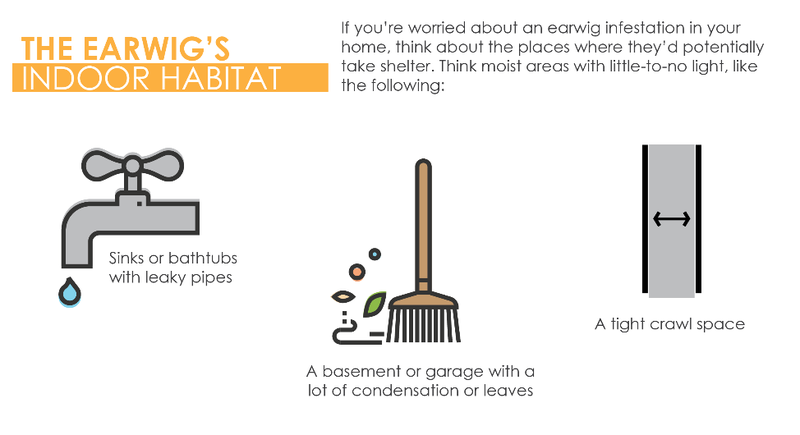 Sometimes, earwigs find their way into your home – whether due to the outdoors growing inhospitable or the indoors better suiting their needs. The presence of water sources in the kitchen, bathroom, or laundry room often attract them. The possibility for food and shelter is also a big motivator. If you notice earwigs have made it inside, getting rid of them may take some effort. Applying pesticide or granule treatments are easy and effective deterrents. But for an incessant problem, modifying the environment by following the above steps is your best bet. If they still don’t go away after that, or you’d feel better with someone else handling the issue, contact Lloyd Pest Control. We’ll check out the problem firsthand and provide you with solutions to keep these pests away. If you encounter an earwig in your home or yard, have no fear. After all, the rumor about them crawling into ears isn’t true. Overall, earwigs are practically harmless. They don’t bite or sting, nor do they contain venom of any kind. Some species produce an odor meant to fend off predators, but that’s the closest they come to any type of poison. Its pincers are the only other weapon an earwig possesses – and a seldom-used one at that. Unless irritated, the earwig isn’t known to retaliate, and when it does, it won’t leave you feeling any more than a slight pinch from its set of forceps. Most of the fear of these insects is emotional or psychological, and is often brought on by their appearance or the mythology associated with them. 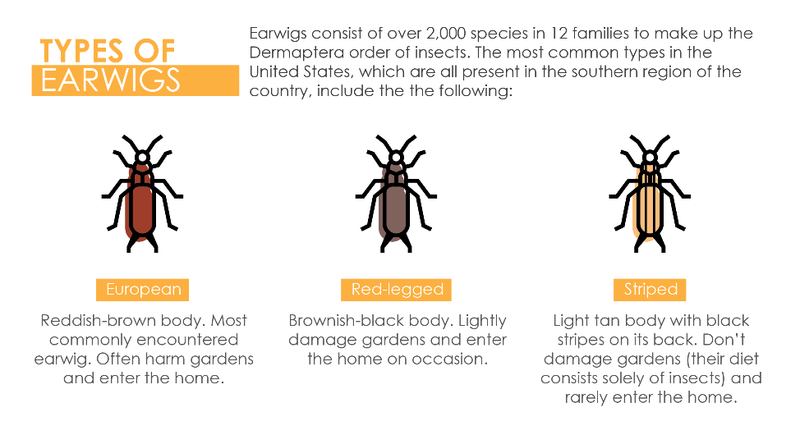 Earwigs are common throughout Southern California, and they can become a nuisance if the conditions are just right. Although they’re not harmful insects, they flock to wet, cool, and dark environments – many of which might exist in your home or yard. Fortunately, your ear will never be one of them. At Lloyd Pest Control, we know all the details about earwigs and what it takes to combat them. We use pest control techniques that not only overpower them, but also outsmart them by forcing them out of their often-overlooked hiding places. If you’d like to consider us for your earwig problem, or you have another disruptive pest on your property, get an instant quote or call us at 1-(800) 223-2847.